David Bradley is a familiar name to many Arizona voters. From 2003 to 2011, he served four terms as a state representative. In 2012, he won his first bid for state senator for Arizona’s Legislative District 10, an area that covers portions of central and eastern Tucson. In that race, as well as his successful reelection bids in 2014, and 2016, he received the endorsement of Planned Parenthood Advocates of Arizona (PPAA). Sen. Bradley is seeking another term to represent LD 10 and has received PPAA’s endorsement once again. Bradley spent his early childhood in Phoenix and his high school years in Tucson, after which he spent eight years with the Navy in Spain, Iceland, and other locations. 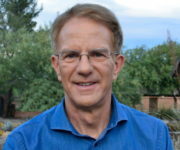 When Bradley returned to Tucson in 1980, he began a career in counseling. For the last 18 years, he has served as chief executive officer of La Paloma Family Services, Inc., a nonprofit child welfare agency. With his experience in administration and behavioral health, combined with his many years in the Arizona Legislature, Bradley brings solid credentials to the task of addressing the many issues facing Arizona. The values and convictions he brings to the table have also helped him earn the endorsements of numerous other organizations, including Las Adelitas Arizona and the Arizona Nurses Association Political Action Committee. Sen. Bradley kindly took the time to tell us more about his background and his candidacy on July 6, 2018. Margaret Sanger, the founder of Planned Parenthood, said these words a full century ago, denouncing lawmakers who wished to throw obstacles between women and access to contraception. Her vision for the future was one in which reliable birth control was widely available without controversy. It is frustrating and outright embarrassing that we are still fighting for the right of women to control their own bodies, especially when it comes to reproductive health care. Different methods of birth control have been used since the ninth century. However, birth control as we know it today was not easily accessible in the United States until the early 1900s. The following guest post comes to us via Kelley Dupps, director of public policy for Planned Parenthood Advocates of Arizona. Voting is about civic engagement and civic responsibility, an ideal showcased in city elections happening now across the state. 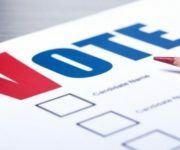 Specifically, Planned Parenthood Advocates of Arizona (PPAA) have been working on the city council races in Phoenix, Tucson and Yuma, educating our supporters in those cities about their candidates and how they stand on the issues central to PPAA’s mission. State legislators, school board members, and county governments are vital to our local communities’ thriving. Local ordinances are the front lines of how laws are administered and enforced, along with providing constituents access to community resources. Currently, city elections are happening and it’s important to get folks out to vote. Here’s an overview of our August primary races. In Phoenix, four city council members are up for reelection, with three out of four of these seats being uncontested (which means the incumbent automatically wins). So Jim Waring (District 2), Laura Pastor (District 4), and Kate Gallego (District 8) have a clear path to certain victory on August 29 – Election Day! Although in uncontested races, incumbents Laura Pastor and Kate Gallego are endorsed by PPAA. Laura and Kate have long been supporters of Planned Parenthood and have served with integrity and grace on the Phoenix City Council. In District 6, the incumbent, Sal DiCiccio, is facing a challenger. Early voting started on August 2 and Kevin Patterson is working hard to get every vote he can. As the only contested seat this cycle, the focus of August has been on this race. Kevin is a PPAA-endorsed candidate and has had volunteer support from a great group of PPAA supporters! The dedication of Planned Parenthood volunteers to go door to door for a city council race in 110 degree heat is INSPIRING! Led by PPAA volunteer Kate Fischer, a team of dedicated volunteers has talked with hundreds of voters about Election Day. When phone calls weren’t working, Kate knew she had to take it to the streets. It’s been shown that face-to-face conversations with voters leave a lasting impression and are key to getting that vote. We’re looking forward to celebrating with Team Patterson! 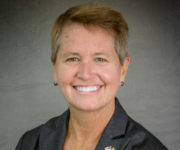 In Yuma, PPAA has endorsed Karen Watts in the race for six at-large seats on the Yuma City Council. As a nurse practitioner, Karen understands the needs in the community and can bring resources to under-served communities. In addition, there are currently zero women serving on the Yuma City Council. Zero out of six. It’s time for Yuma to reflect their constituents by electing a more representative council. Make sure to vote by Election Day: August 29! Click on the cities above for city-specific election information!